More than 90 percent of adults aged between 20 and 64 have at least one cavity — even though these are nearly 100 percent preventable. Cavity-causing bacteria is the culprit — it attaches to your tooth enamel and multiplies — but it's sugar that creates this bacteria in the first place. If you suspect you have a cavity, don't panic. Here are four things that you need to know about this type of tooth decay. How Can You Tell You Have a Cavity? While you’ll never know for sure if you have a cavity until you go to dentist, there are several symptoms that could point to a cavity. Firstly, untreated cavities often result in bad breath. This is because the bacteria in your mouth has accumulated. You might also have a bad taste in your mouth. Other cavity symptoms include tooth pain — especially if you haven't treated your cavity for some time — sensitivity and discoloration.It's important that you talk to your dentist if you experience any of these symptoms. Twenty-seven percent of working-age adults in the United States have untreated tooth decay — something that could lead to infection, severe pain, and even tooth loss. So, You Have a Cavity. Now What? If you don't treat your cavity, it could get worse. Make an appointment to see your dentist who will suggest the best course of treatment for your circumstances. Dental fillings are the most common procedure for cavities. 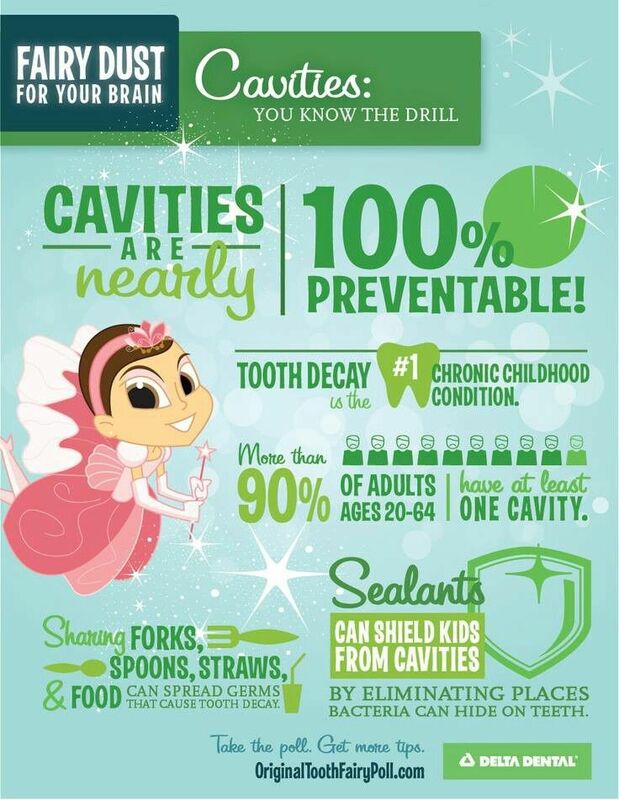 If you have bad tooth decay, however, your dentist might recommend a crown instead. He or she will place a tooth-shaped cap over your damaged tooth to improve its appearance. In extreme circumstances, you might require a root canal to treat your cavity. A cavity isn't something you should take lightly. It could be a sign that you need to change your diet — reduce the amount of sugar you consume, for example — or oral hygiene habits. The American Dental Association recommends that you brush your teeth twice a day with a fluoride toothpaste, clean between your teeth with floss and consume a healthy diet in order to prevent tooth decay. When Do You Need to Have a Cavity Filled? Essentially, a cavity is a small hole in your tooth. It's usually harmless at first but, if left untreated, can damage your tooth and kill all the nerves at its center. That's why it's important to see your dentist. Only a professional can determine whether you need treatment for your cavity. Your dentist might recommend a dental filling for your cavity. This restores your damaged tooth back to its regular shape. Usually, a dentist will remove any decayed tooth material first, clean your tooth and then apply a filling. Amalgam, composite, and porcelain fillings are among the most popular types. Did you know that cavities are four times more common than asthma among adolescents aged between 14 and 17? You can prevent a cavity by brushing your teeth for two to three minutes twice a day. Still, the average person only brushes for 45 to 70 seconds a day. If you think you might have a cavity, it's important to act quickly. Ignoring the issue will only make things worse. Your dentist will provide you with the right solution to your problem.